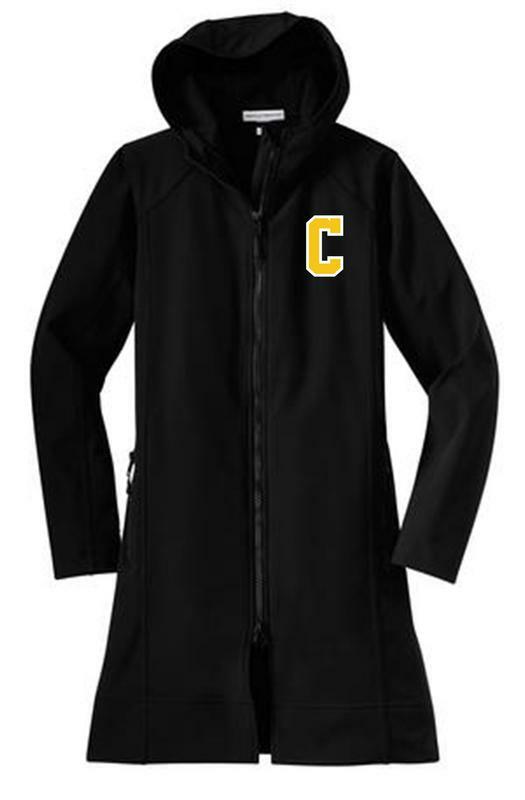 The only Game day Jacket you'll ever need! ​A long, feminine fit makes this water resistant soft shell the right choice for daily commutes. A textured hood and body lining adds warmth and unexpected character.